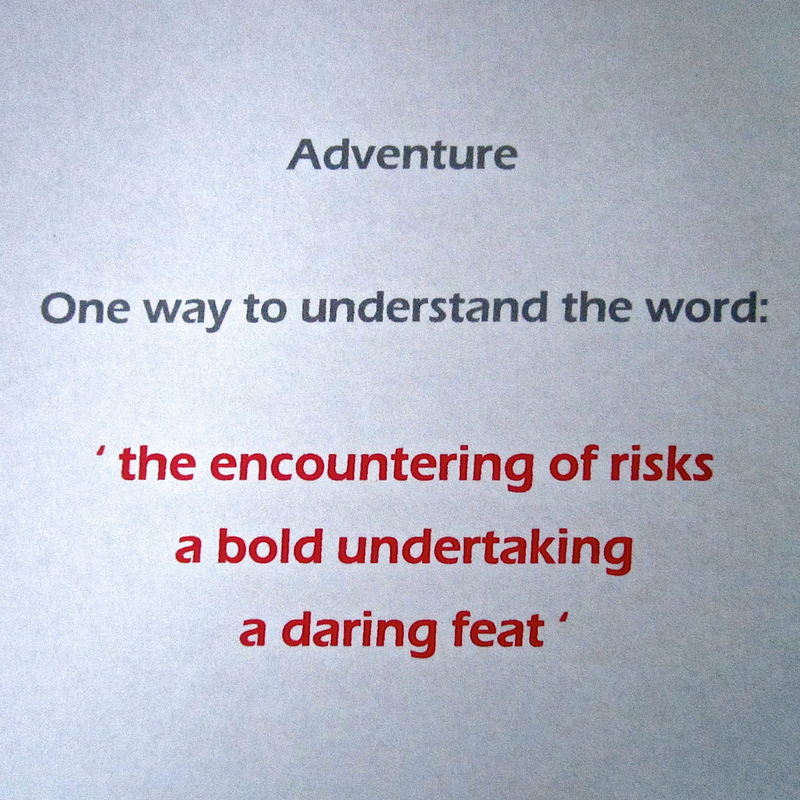 The word ‘adventure’ tends to conjure up the idea of risk, challenge, something daring. It has a ring of the intrepid about it, as if it will necessarily involve hazard. To call someone an ‘adventurer’ is to put them in a league beyond the reach of almost all ‘average’ people (just think of Sir Ranulph Feinnes, or Scott of the Antarctic). How the word ‘adventure’ is understood is something that struck us when we were asked to give a presentation in the Adventure Tipi at Keswick Mountain Festival on Friday. And we wondered how our work fits into the concept of ‘adventure’. We quickly realised – It’s Not All About Adrenalin. Each foray outdoors for us is an opportunity to encounter something striking, however tiny, and to experience something that stirs us, and, gently, widens or alters our perspective on the world. We take a leisurely approach to adventure and perhaps take the term literally. The word has its roots in the Latin advenir ‘to arrive, come about’ and adventurus ‘about to happen’. Really, there is always something about to happen. Even in familiar spaces, a closer look, or a different way of doing things, can allow for a new experience. Something that stirs you. An adventure. Our own approach is less one of risk and hazard, and more one of curiosity and time. It doesn’t matter if a planned 3-hour 6-mile walk turns out to take 6 hours, and only cover 3 miles, when the richness is in an exploration of what’s around, and an adventure into the still points of time when it’s possible to take things in on every sensory level, and reflect on them. Inevitably for us, time is taken up writing or taking photos – both an important part of the adventure, involving our own interaction with the world. Our upcoming project, The Long View, which will focus on trees, embodies this slow approach. Back in 2010 we first discussed transforming trees into the colours of the rainbow; by 2011 we had a project loosely called ‘Seeing Seven Trees’; by 2012 we had decided there would need to be a link walk between the seven trees; in 2014 we had come up with the idea of twinning each tree with a UK city. Some of our ideas unfolded as we walked through the Lakeland landscape. Many others came about in pub meetings (what better office? ), in venues stretching from Exmoor to Cumbria to Skye. Now, in 2015, The Long View is a fully formed project and we’re very excited to be working in close association with The Lake District National Park Authority and Friends of the Lake District. We’ll be settling into it in the late summer – walking to seven trees, spending time with them over a period of 2 years, linking with 7 Cumbrian schools, and with 7 cities (and schools or colleges from there). 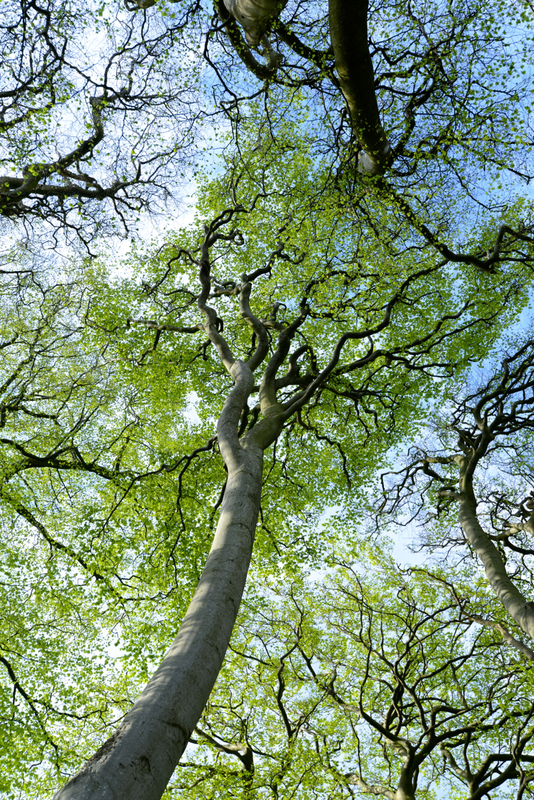 We’ll be photographing the trees and writing with them, leading walks to them, sleeping beside them. And through 2016, each tree will spend a week as an art work against the canvas of the land – transformed with one of the seven colours of the rainbow spectrum. 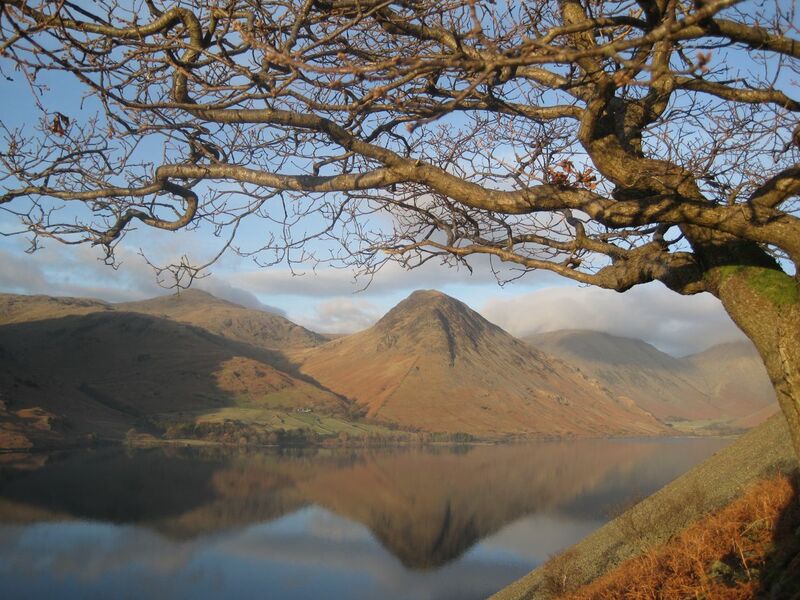 Encounters with trees – our own and other peoples – will allow the culture of the land to emerge through stories, memories and reflections, something that’s right at the heart of the Lake District’s bid to become a World Heritage Site. Ideas like this don’t just spring up overnight. It feels appropriate that this one has been maturing over four years, and that the project will take more than two years, with an exhibition launching in 2017 and touring for at least a year. It’s a bit like ‘tree time’. From seed to sprout to sapling to something more substantial. Slow, steady, and always revealing something new. Many opportunities there for adventure.